If you're a fan of Mojitos, Rum and Coke or any other Caribbean cocktails, you've likely tried your fair share of rum, but have you asked what's the difference between light and dark? When you head to your local store, you can find a shelf filled with different brands and flavors of rum, both light and dark. However, it's not easy to tell what the difference between these shades is. Here's your quick guide to rum. "Rum is made from sugarcane and its by-products, such as molasses." Rum is a type of alcohol that's made from sugarcane or sugarcane by-products such as molasses or sugarcane syrup. Just like with agave in tequila, this sugar is then distilled into a liquid alcohol. Rum can be distilled to various strengths, but is typically higher than 40 percent alcohol by volume or 80 proof. Much stronger than many sugary liqueurs. When rum is first distilled it is a clear liquid. What's the difference between light and dark rum? Light, silver or white rum is aged for less time than other varieties. Directly after this spirit is distilled it is already clear. To make it into rum that can be sold, producers typically just filter the liquor until it's free from impurities and ready for a cocktail. Light rums have a sweet but subtle flavor and just as much alcohol by volume as darker rums. 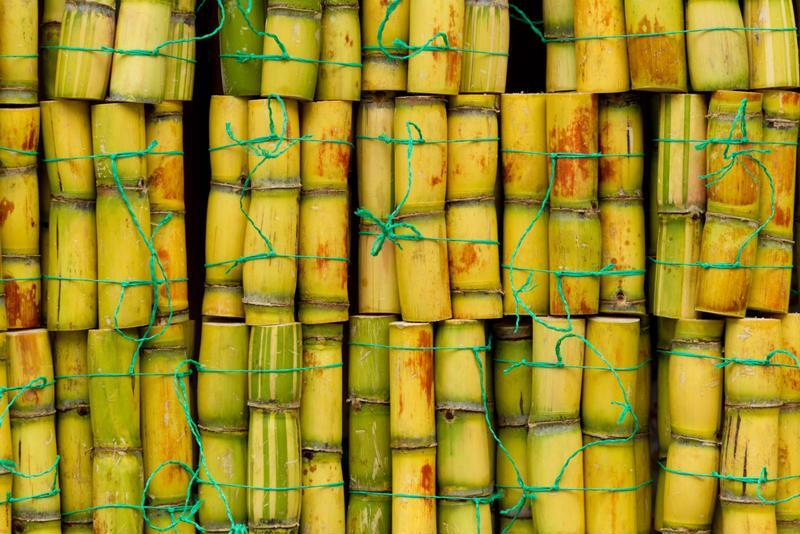 Rum is made by distilling sugarcane. Dark, black or golden rum starts off as the same clear spirit that makes light rum. However, instead of being filtered and bottled right after being distilled, dark rums are aged first. by aging the rum in charred oak or wooden barrels for a period of time, they end up with a darker color and a bolder flavor. The longer the rum is aged, the darker it is. Rum that isn't aged as long may be called golden. Rum can also be darker if molasses, burnt sugar or caramel is added for color and flavor. What about spiced or flavored rum? Which should I use in my cocktails? Rum was first created in the Caribbean and has become popular worldwide. Typically, darker rums are used for sipping or drinking straight because of the more distinctive flavors, while light rums are used in cocktails. So when you make frozen Piña Coladas, Mojitos or any other rum-based tropical drinks in your frozen concoction maker, you should use white rum. However, there's no wrong answer.